Designed to be fished anywhere, by anyone, of any skill level; the 360GT Searchbait from Storm is the ultimate confidence lure. With its big boot tail and supple PVC body design, the 360GT Searchbait kicks wildly and rolls side-to-side like a distressed minnow as it tries to escape. A body rolling scope of almost 180 degrees creates maximum flash during a standard retrieve. The soft body is best matched to the Storm ABS molded Searchbait jig head complete with 3D holographic eyes, internal rattle and VMC coastal black hook. When a swimbait is needed to cover water the 360GT Searchbait is an ideal choice. Available in 3.5", 4.5" or 5.5" models. Match with one the corresponding Searchbait jig heads for optimal results. The model SBB35 SBB35 (3-1/2") fits 360GT Jig Model SJG35 (1/8 oz.). 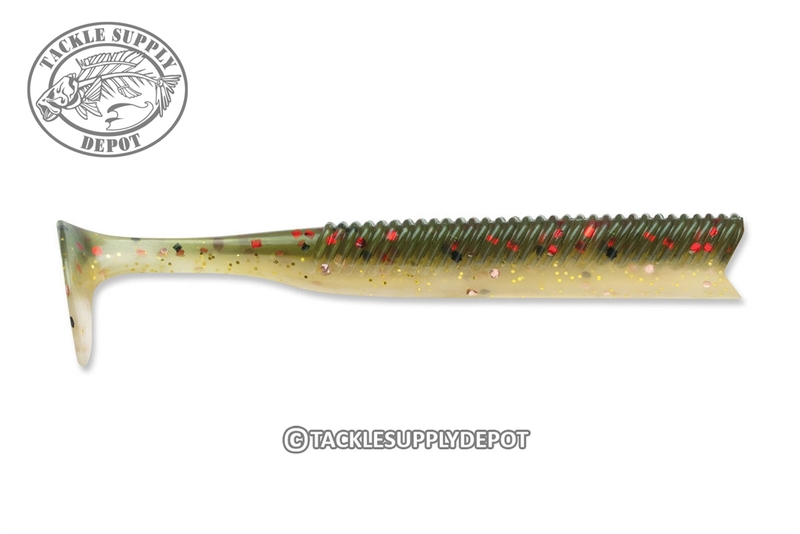 The model SBB45 (4-1/2") fits 360GT Jig Model SJG45 (1/4 oz.). The model SBB55 (5-1/2") fits 360GT Jig Model SJG55 (3/8 oz. ).